Wade Miller has been appointed president and CEO of the Winnipeg Football Club, effective immediately. 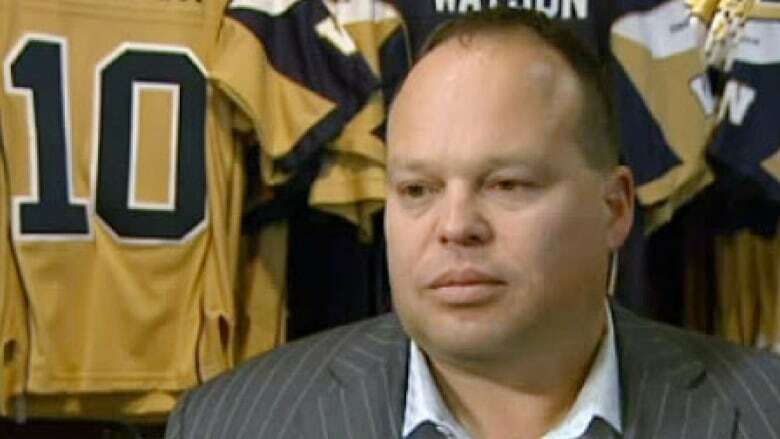 The former Bomber fullback, was named acting CEO in August and made the firing of general manager Joe Mack his first order of business. The appointment was announced Tuesday by the club's board of directors. Miller said he "won't rest" until he turns around the struggling team, which won three games this season and is 30-60 over the past five years. “This club is in my blood,” Miller stated in a news release, “and I won’t rest until I set things right with fans and that means putting a competitive product back on the field that is capable, in the years ahead, of restoring the pride in this once storied franchise. Since being handed the reins in August, Miller "has proven himself to be a strong, progressive leader with the right combination of football and business experience to succeed in this important role," board chair Brock Bulbuck​ stated in the release. Bulbuck also credited Miller for being a team player both inside and outside the club. Miller appeared in 167 career games over 11 seasons with Winnipeg. He remains the franchise leader in special-teams tackles with 184 and is a member of the team's Hall of Fame.